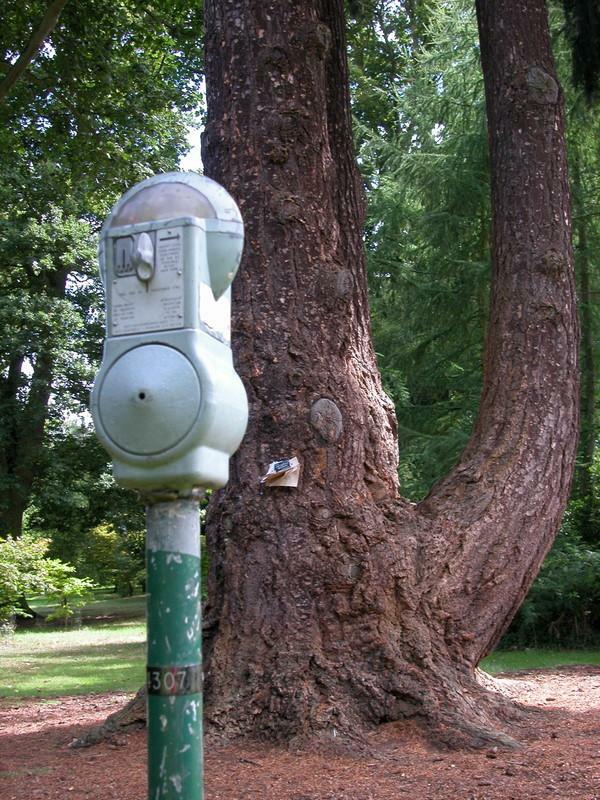 An old fashioned parking meter, installed next to a large Pseudotsuga Menziesii (Douglas Fir) which had been parked for far too long in Nuneham Courtenay Arboretum. 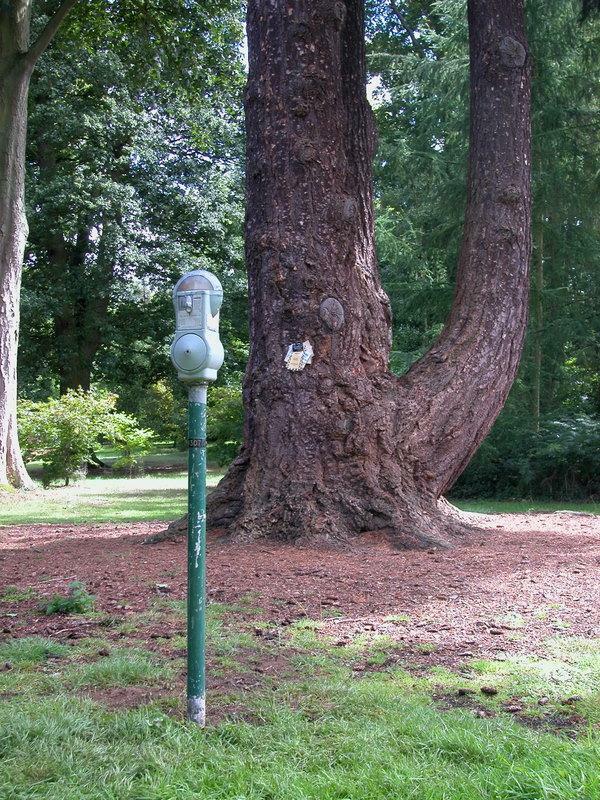 In July 2009 I was part of an international project at The University of Oxford Harcourt Arboretum, Nuneham Courtenay, working with eleven other artists, some from France, Germany and Romania. 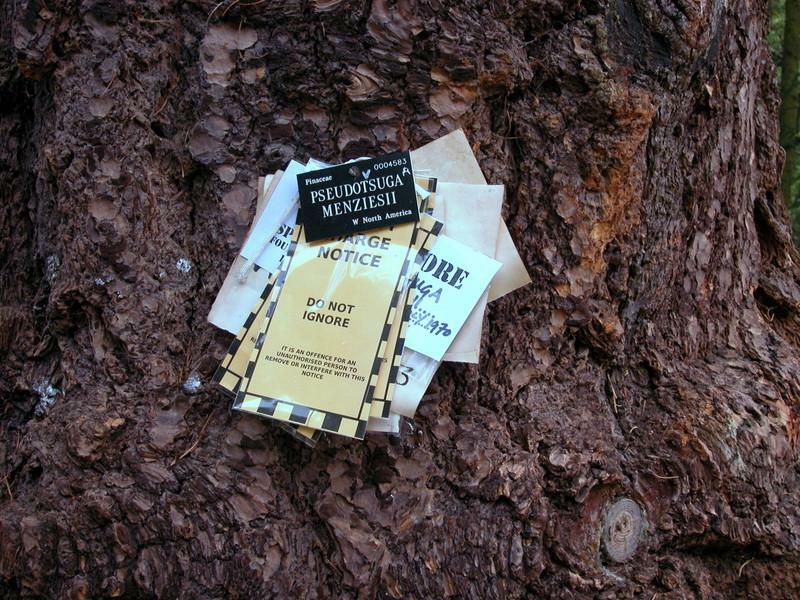 During this period I also produced Megasporangiate Strobili.